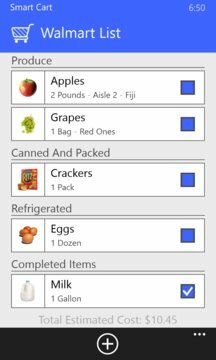 Smart Cart is a simple, beautiful and smart shopping list app that helps you find the fastest way to get through the store and pick up all the items on your grocery list. Windows Phone App Also Available! 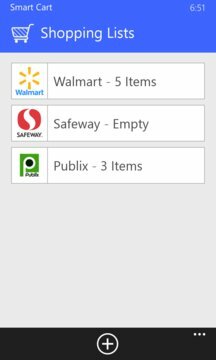 Smart Cart is now Free!